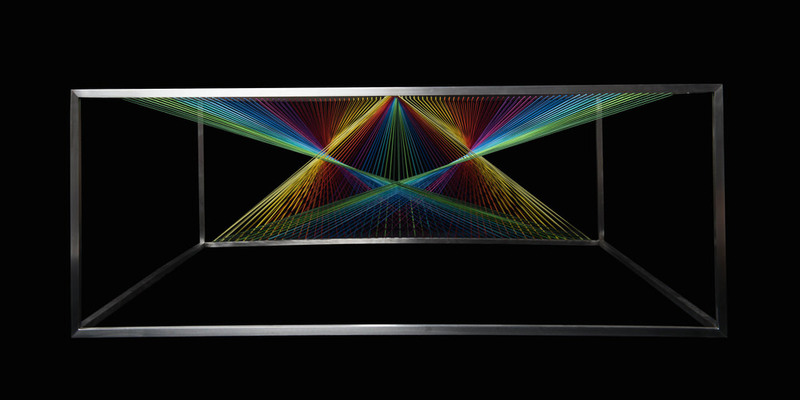 When light passes through a prism of glass, it is refracted and the various colours that made up the white light are separated out into a rainbow spectrum (think The Dark Side of the Moon album cover). 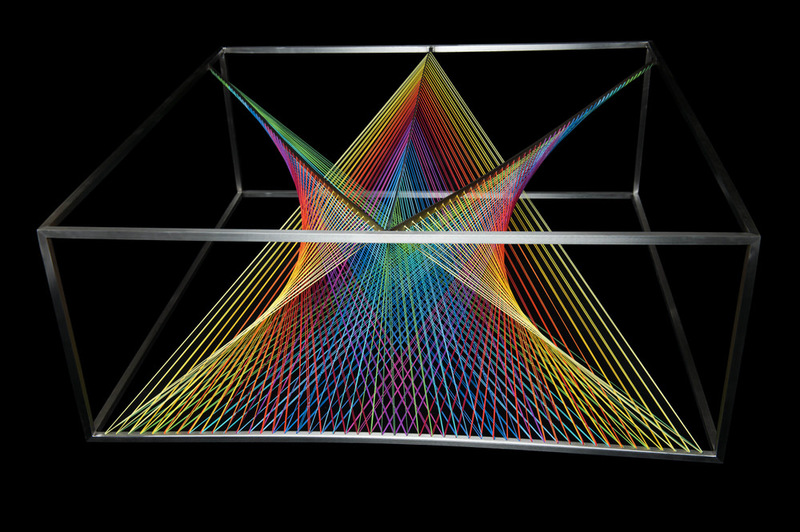 This is the theme of the Prism Coffee Table created by Maurie Novak which contains a complex and vibrant rainbow coloured sculpture at its heart made up of hundreds of strings in tension. 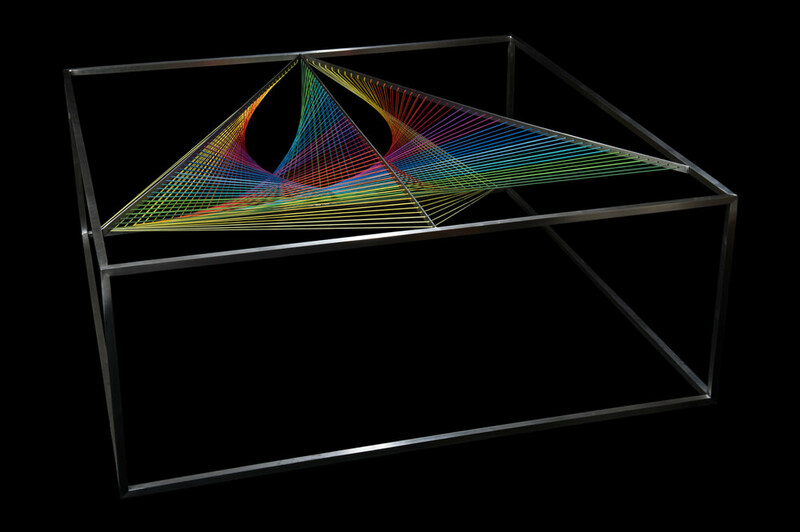 The Prism coffee table has a stainless steel frame and is enclosed with glass. 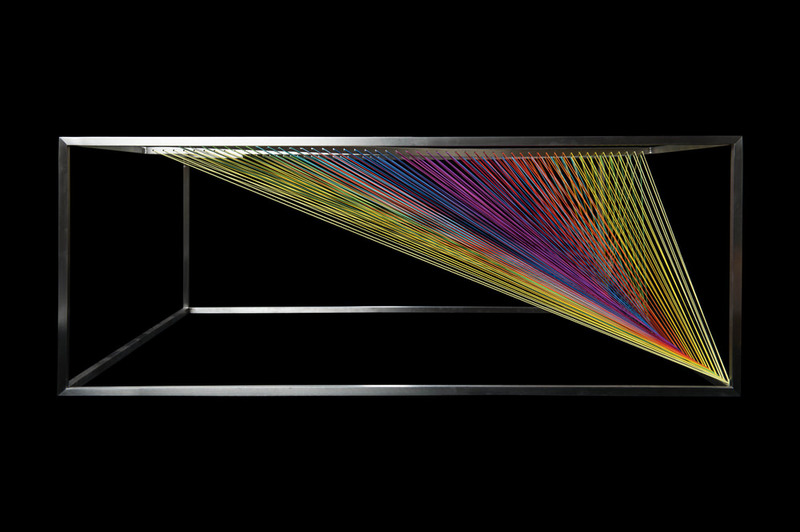 The rainbow coloured strings that span the interior are in fact composed of 1.5mm thick elastic and are threaded through 2,000 holes which have been drilled into the steel bars. 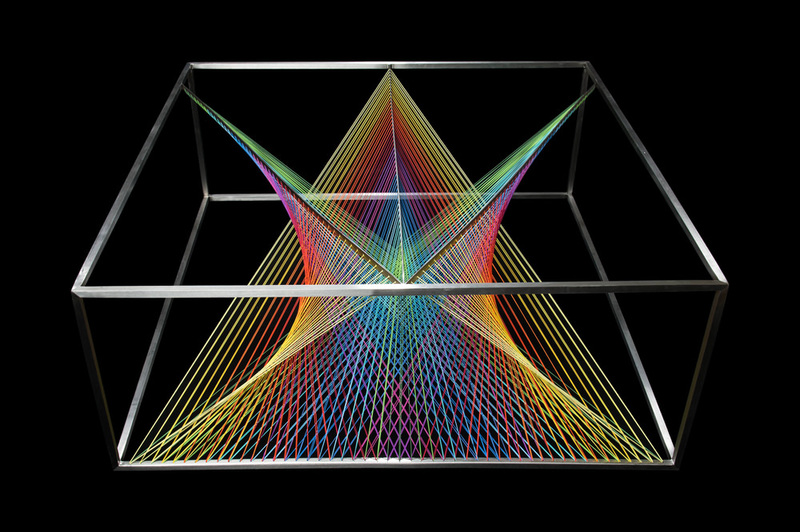 Like all good sculptural objects, the Prism coffee table takes on startlingly different forms when viewed from various angles; it’s hard to believe that all of the images featured on this page are of the same string configuration. 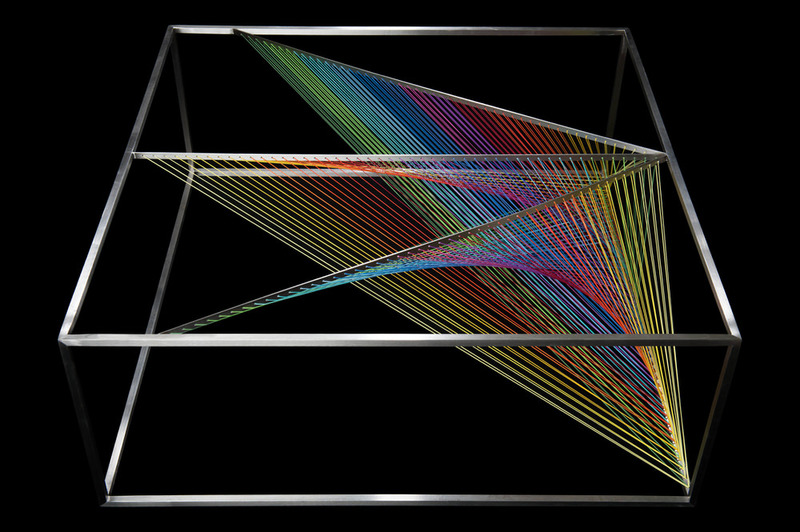 From the sides the rainbow elastic is confined to a modest scalene triangle, but when viewed from above or straight on these vibrant strings form interlacing webs of colour that bewilder the mind. 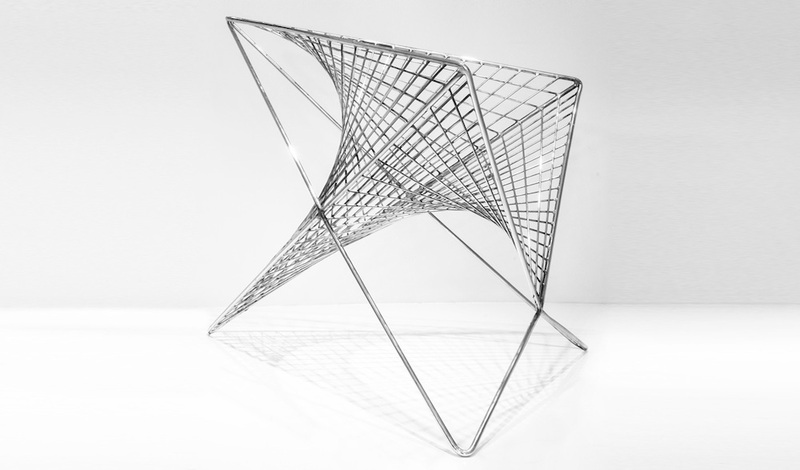 This internal mesh loosely bears the shape of a hyperbolic paraboloid, a phenomenon we have seen before in the Parabola Chair by Carlo Aieollo. 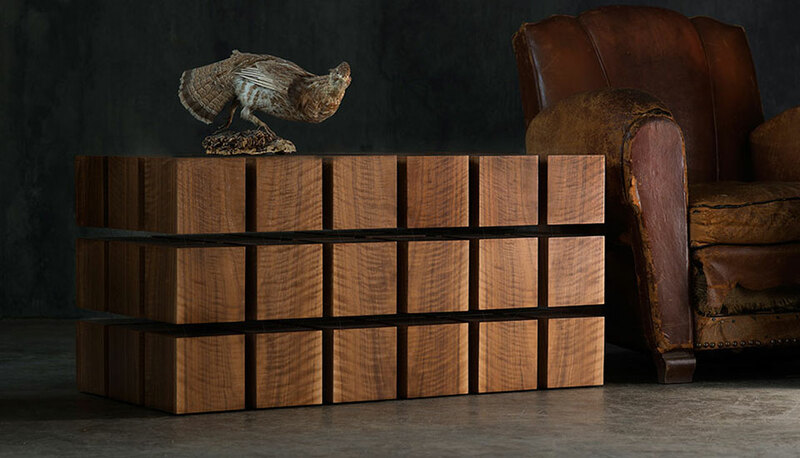 This wave-like form at first glance appears infinitely complex, but when viewed up close it becomes clear that the seemingly curved edges are actually achieved by simply combining a series of straight lines that connect incrementing points on an axis. 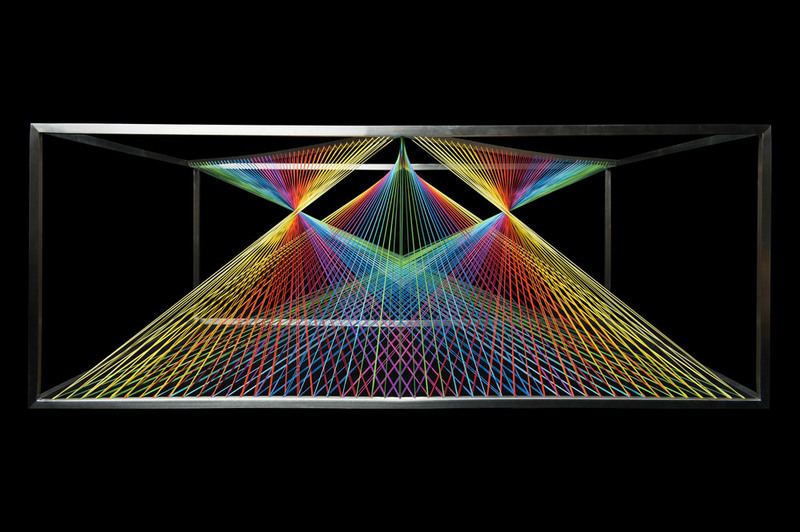 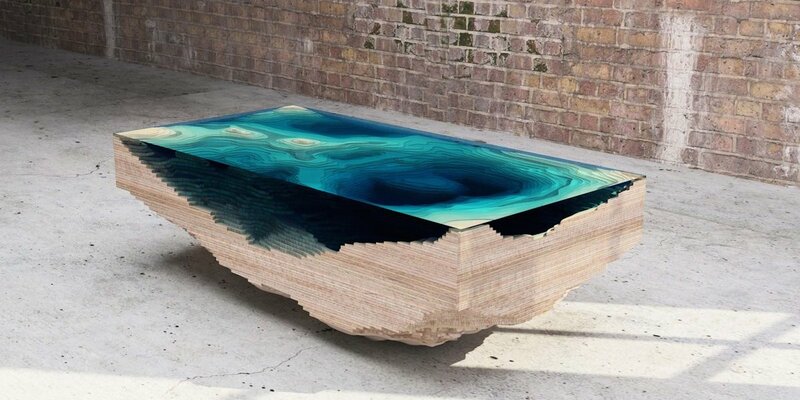 The Prism Coffee Table bears the dimensions 120cm x 120cm x 46cm and is a true piece of functional art. 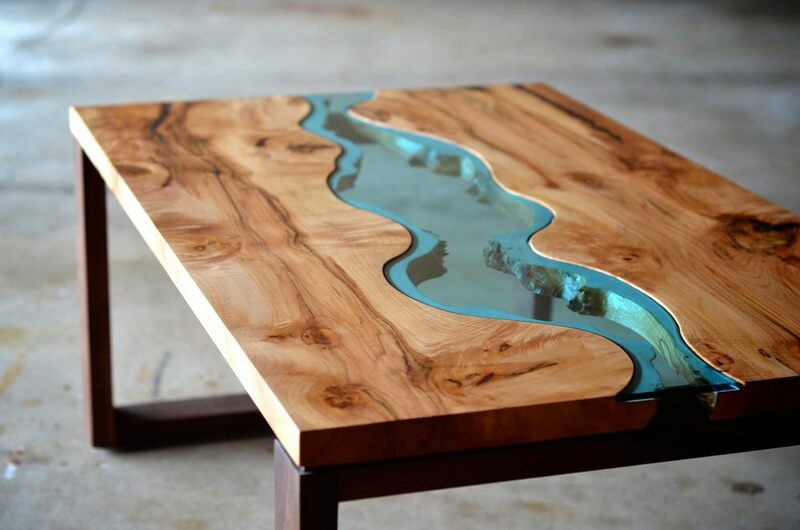 It was created by Maurie Novak of MN Design and received a 2014 A’ Design Award. 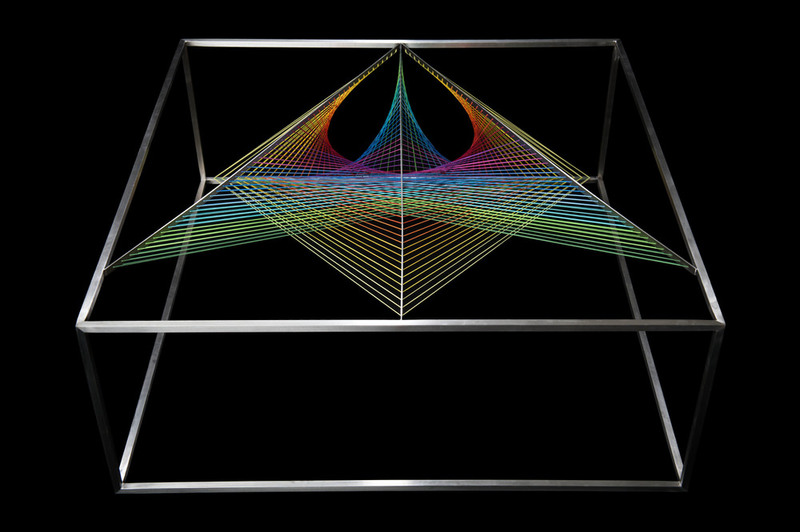 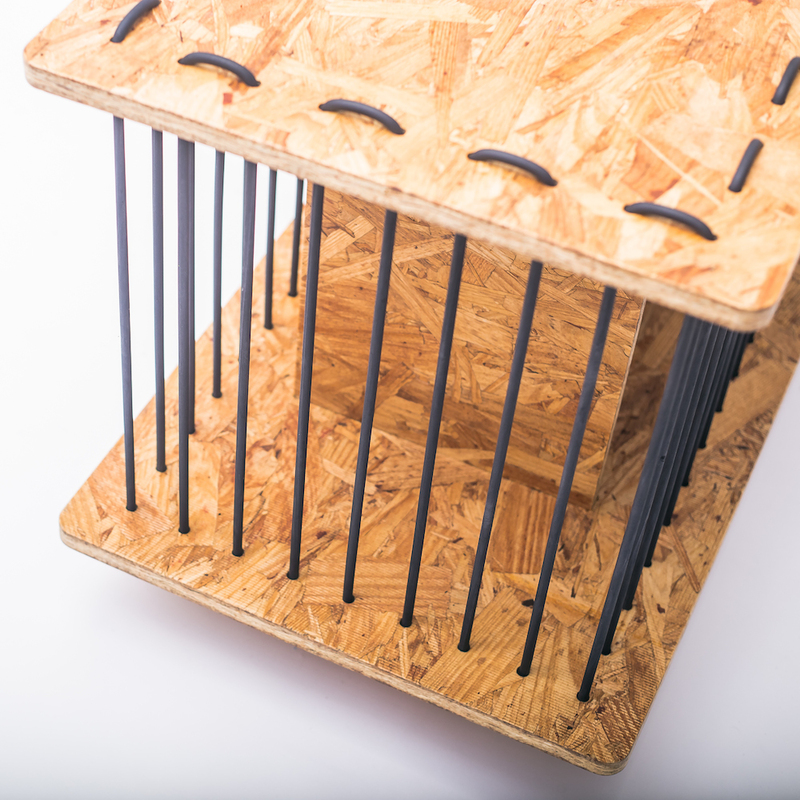 A lot of his other furniture designs are likewise highly sculptural, and the Poise bookcase also incorporates several sets of strings in tension in a similar (although more functional) fashion as the Prism coffee table.